The Tamil Nadu government recently opened a unique “tree park” in Chennai in an effort to save the state’s unique flora. On August 16, 2018, Minister of Forests, Dindigul C Srinivasan inaugurated the “Forest Genetic Resources Tree Park” at Kolapakkam, adjoining the Arignar Anna Zoological Park located at Vandalur, Chennai. The taxonomically-designed tree park is the first of its kind and would be a haven for researchers, naturalists and botanists. The entry will be free for children and Rs.5/ for adults and the fee collected would be used for maintaining the park in the future. The park was inaugurated as part of the centenary celebrations of the research wing of the Forest Department. It has been formed as part of a move by the Tamil Nadu government to save about 230 types of plants as announced a few years ago by the then-Chief Minister J Jayalalithaa in the state Assembly. She made a suo motu statement in the House, proposing the park in order to ensure protection of forest genetic resources. Her initiative has now been given shape. 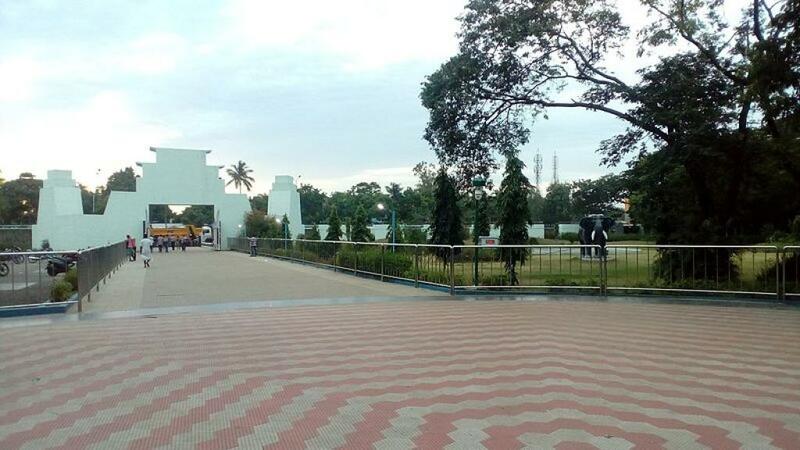 The park is spread over 20 acres at Kolapakkam. It has a collection of 300 tree species from both, the Western and the Eastern Ghats. Each tree species has been provided with a hoarding containing the scientific and vernacular names and its commercial and medicinal uses. Seeds of some rare varieties of trees have been procured from the Kerala Forest Research Institute (KFRI), Peechi. Many tree species have been supplied by the Andhra Pradesh and Karnataka Forest Departments. The park is, thus, a kind of gene pool garden formed under ex-situ conservation (an assemblage of different floral species in a particular place from different regions) method. The park is located between the Vandalur Reserved Forest (RF) and the Nedunkundram Lake. Rainwater drains from the Vandalur RF into the lake through the park. Three check dams have been built across the naturally-formed canal that passes through the park. The water stored in the check dams will be made use of for watering the tree species planted here besides improving the ground water level in the nearby areas. The interpretation centre constructed here may have displays of various rare, endangered and threatened tree species besides depicting the values of trees and the ecosystem services that they provide for the benefit of all living organisms on earth. The student community, especially natural science students may make use of this to enrich their knowledge on plants and other valuable biodiversity. There is also a Rock Garden, Butterfly Garden, Children’s Garden, Arboretum, Bambusetum, Palmatum, Flower walk Garden, Medicinal Garden and Water Cascade, that will serve as additional attractions for visitors.